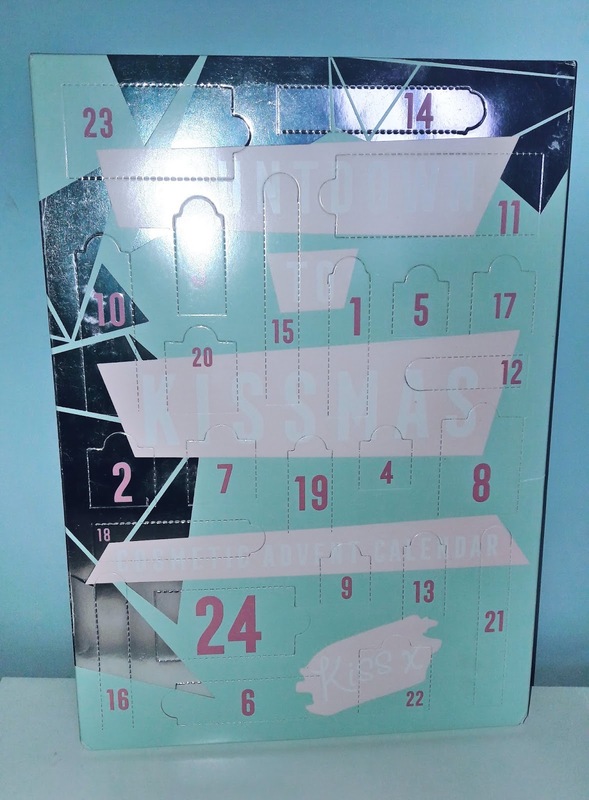 I will be sharing with you all everything that is in the Glam and kiss beauty advent calenders from Wilko this year. If you don't want to know than don't read any further. It may be the 7th of December, however its not too late to get your hands on an advent calander. 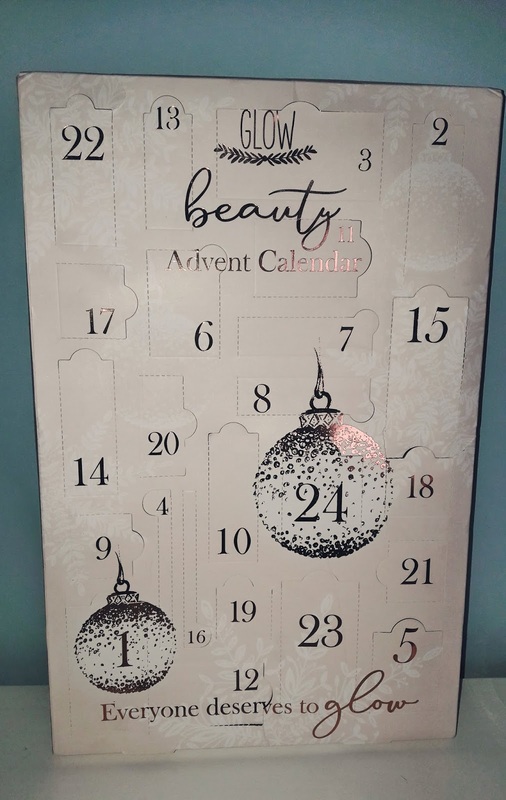 Beauty advent calanders seem to be a popular choice amongst girls/women at the moment. In fact I had a beauty advent last year filled with lovely exciting beauty treats. Wilko sell a wide range of advent calanders and I was sent two of their beauty ones to feature. First of is the Glow Beauty advent calander that is marketed for ages 16 and over, although I feel teens will love it as well. Countdown to Christmas in style and find beauty treats and accessories within this 24 day calander. 2x scented candles, 4x shimmer bath bombs, 3x 30ml bubble bath, 2x nail polish, 2x 30ml body lotion, 2x 20ml hand cream, 3x 30g bath salts, 1x 10ml cream face mask, 1x lip balm, 2x nail file, 1x pair toe separator and 2x cuticle sticks. 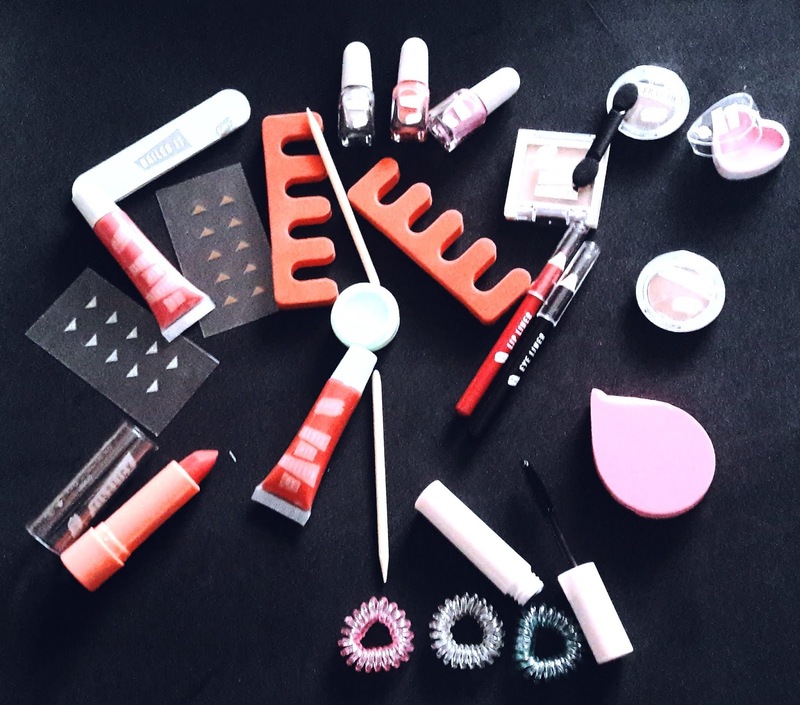 1x highlighter, 1x lipstick, 2x eyeshadows, 1x mascara, 2x lip gloss, 3x nail polish (1x Pop, 1x Candy, 1x Party), 1x heart lip balm, 1x round lip balm, 1x red lip liner, 1x black eyeliner pencil, 1x blending sponge, 1x sponge eyeshadow applicator, 3x spiral bobbles, 2x nail stickers, 1x nail file, 1x pair toe separators and 1x pair wooden cuticle sticks. Do you have an advent calander this year? If so I'd love to know what one you have got.